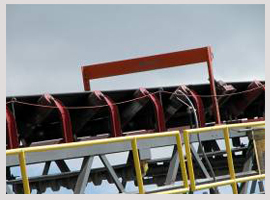 The Tectron® Model 100 Tramp Metal Detector, when installed on a conveyor system, provides protection to downstream processing equipment by detecting the presence of potentially damaging metal objects. The model 100 can detect both ferrous and non-ferrous metals, and can even be used on belts containing metallic repair clips or splices with our optional clip detector. 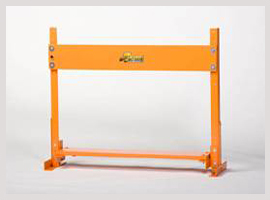 The lightweight construction makes it easy to assemble and install without special tools or the need to cut the belt, and the field replaceable, microprocessor based controls are easy to operate and maintain. 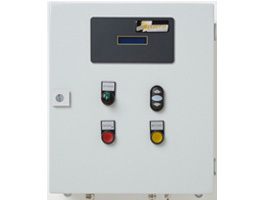 A self test circuit activates a fault light and dry contact to alert the operator if there is ever a problem with the detector, so you’ll never have to wonder if your detector is operating properly. The aperture can be adjusted up to 23.5” to accommodate burden heights of up to 19.5”, and the flexible design allows the detector aperture to be moved in the field for changing plant conditions.